The PMUP is a multi purpose utility pump from Neptune Systems with a lot of practical applications. 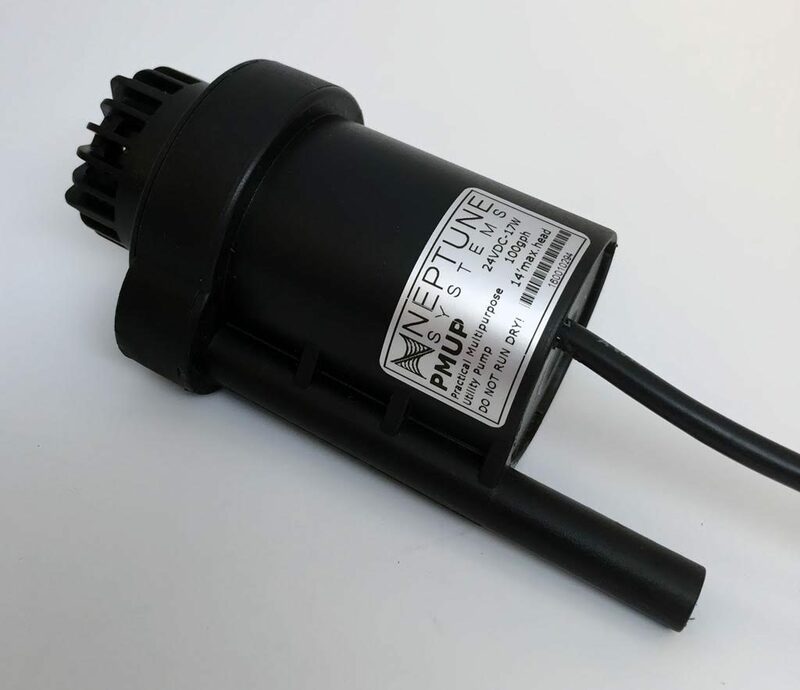 The small size and special form factor of the Neptune Systems PMUP is uniquely suited to a range of tasks and should be able to outperform many of the pumps we currently use. Small powerheads such as the venerable MaxiJet are the unheralded workhorses of all aquarium systems, performing a range of functions. Whether it’s a top off pump, a media or biopellet reactor, automatic water changes, small powerheads are crucial to a well rounded aquarium system. However, besides the MaxiJet and smaller Sicce Syncras, nothing has changed about how our small utility pumps work for our specific aquarium needs. The PMUP really tries to address these applications, especially through a customized form factor that natively draws water from its base, and an outlet pointed straight up on the top of it. The new, vertically stacked PMUP actually has an impressively minute footprint making it small enough to fit through the mouth of many five gallon jugs. Despite its small size, the PMUP can still move a respectable amount of water, as much as 100 gallons per hour, with minimal pressure, or up to 14 feet. The long rigid outlet of the Neptune Systems PMUP is also compatible with 3/8″ quick disconnect or push fittings from John Guest and the like, or you can simply slip soft tubing right on to it. Of course, this being an Apex-compatible product, the PMUP is a controllable DC pump that plugs right into the Apex.